Had my first McDonald Meal in Auckland. 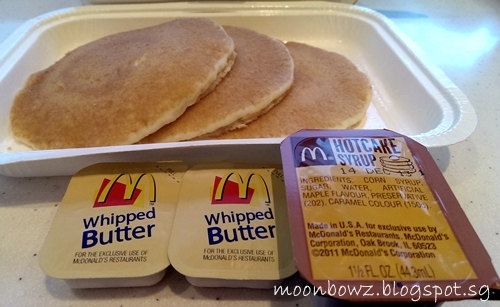 Somehow I miss the cheap McDonald breakfast in Los Angeles. 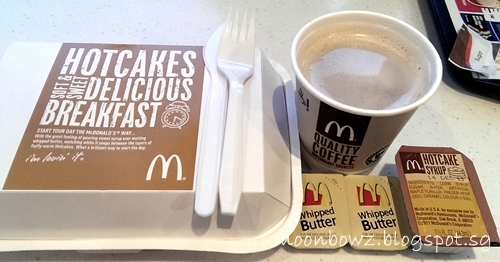 Sport what is different between the hotcake meal for Singapore and New Zealand? 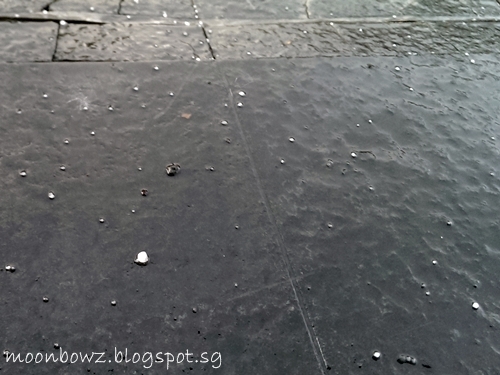 This time, it started raining hailstone~! Guess what? Everytime I stepped out from shelter, it rained! I guess, everyday is learning day. "this raining got icecube, i go and see is true"
Haha. Record your own version!